Exciting news from the CASS and BIMHN teams today! 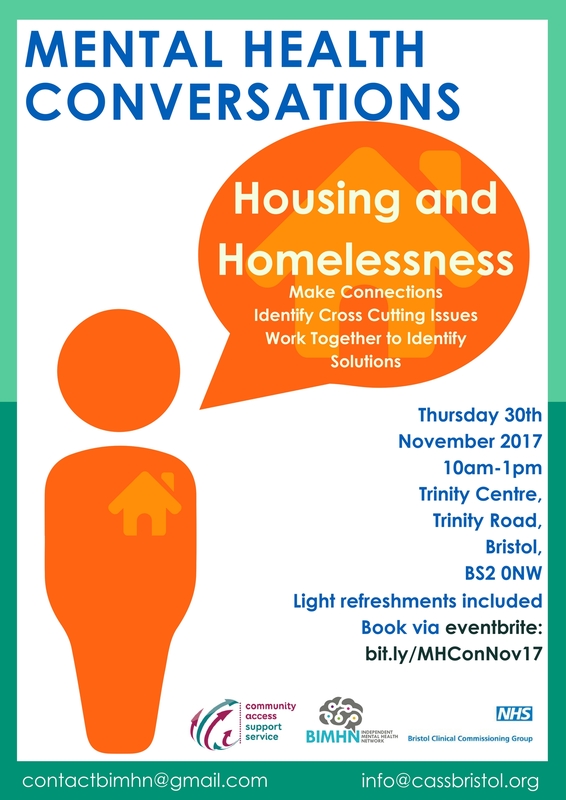 Our joint event 'Mental Health Conversations', this time focusing on Housing and Homelessness is being held at the Trinity Centre on Thursday 30th November 10am-1pm. This will be a really great opportunity to discuss cross cutting issues around housing, homelessness and mental health. Sign up on the eventbrite link here! For World Mental Health Day, the CASS networkers have created some videos, all around the subject of #MakeTimeForYourSelf - the CASS campaign for this year. Find out about what's going on in your area, and how those groups are having fun and looking after their wellbeing! 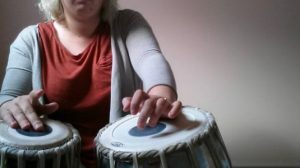 Community groups are vitally important in ensuring that everyone has the opportunity to do something they enjoy or find relaxing, to help look after their mental wellbeing. Take a look and see just a snapshot of what's going on in our city! Redcatch Community Garden in Knowle. 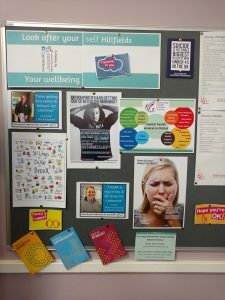 Groups and their wellbeing in Stockwood. Knit and Natter in Southmead. 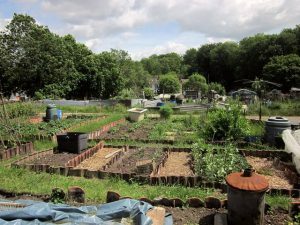 Wellspring Community Garden in Barton Hill. 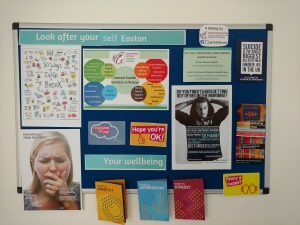 CASS Activities on World Mental Health Day! 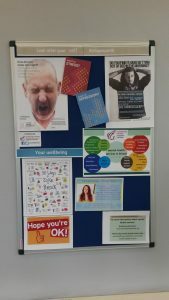 For World Mental Health Day, the CASS team have been getting out in the community to promote the importance of our mental health and wellbeing, and about how to make time for yourself. Take a look below at what we've been doing today! 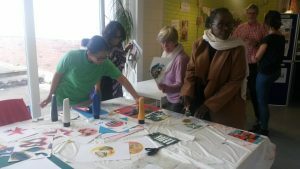 Letty has been hosting a fab event at the Greenway Centre Cafe, all about mental health and wellbeing. 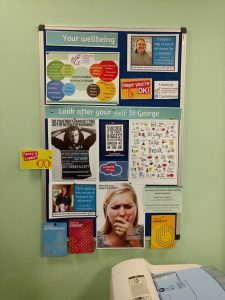 Natalie has hosted a Tea and Talk at Knowle West Health Park, all about why making time for yourself is important when looking after your mental health. 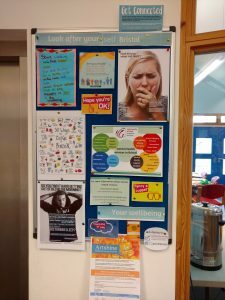 Anna has made a colourful and informative noticeboard at Wellspring Healthy Living Centre, all about mental health to raise awareness. 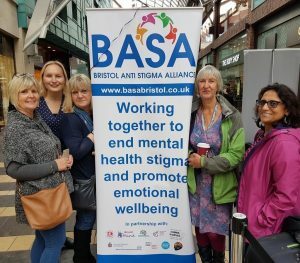 Monira joined BASA on Saturday at their event at Cabot Circus, promoting CASS and the mental health services out there. 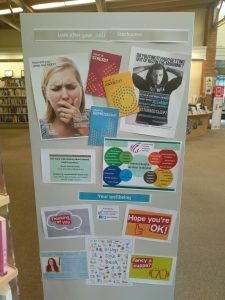 Mental Health Library Boards Launch! 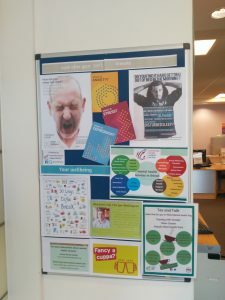 For World Mental Health Day, CASS have teamed up with Bristol Libraries to create some colourful boards, all about mental health and wellbeing. 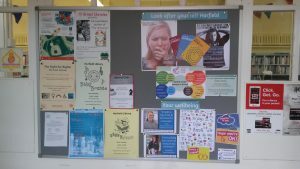 Take a look at some of the photos below, or better yet - visit one of the libraries involved and find out more! 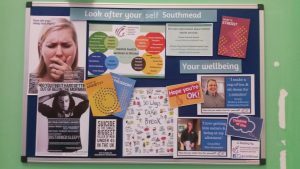 The South Bristol boards have been set up in Bishopsworth, Knowle and Stockwood. The North Bristol boards have been set up in Southmead, Horfield, Sea Mills and Shirehampton. The boards set up in Inner/East Bristol are in J3, St George and Hillfields. Join the CASS Campaign #MakeTimeForYourSelf! October 10th 2017 is World Mental Health Day – join the CASS campaign! It is World Mental Health Day on Tuesday 10th October and we are running the campaign #MakeTimeForYourSelf on our Twitter and Facebook pages. We want to know what YOU do to make time for yourself and your wellbeing. We look forward to hearing your suggestions on Twitter and Facebook! Don’t forget to use the hashtag #MakeTimeForYourSelf. Steer The Strategy – CASS Videos now on YouTube! Did you enjoy the CASS videos at the Steer the Strategy event? Great news - you can now watch them again and comment on them on our new YouTube channel! All videos are also below on our website, too. Good timing for World Mental Health Day on 10th October. Community Access Support Service (CASS) interviews Wendy Moreton from People of Hungerford Estate and Beyond (Brislington) about Mental Health and Wellbeing within South Bristol. Community Access Support Service (CASS) interviews Mary Philip (Health Champion for Public Health England and Mental Health Champion for Time to Change) about Mental Health and Wellbeing within the inner city. Community Access Support Service (CASS) interviews Chris Mills from the Mental Health agency Nilaari about Mental Health and Wellbeing within the city for BME residents. 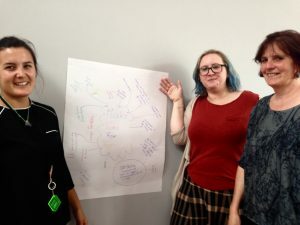 Community Access Support Service (CASS) interviews Martha Luke from The Big Issue SW about Mental Health and Wellbeing within the city, especially surrounding the Roma community. 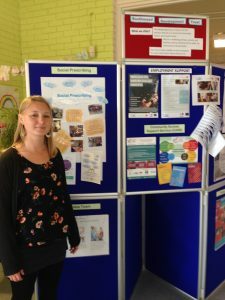 Community Access Support Service (CASS) interviews Jac Blacker and Lizi Hoar from the Avonmouth Community Centre about Mental Health and Wellbeing within North Bristol. 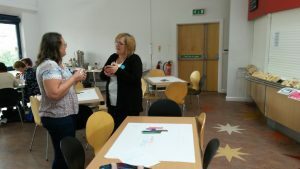 Community Access Support Service (CASS) interviews Laura Welti from the Bristol Disability Equality Forum about Mental Health and Wellbeing within the city.